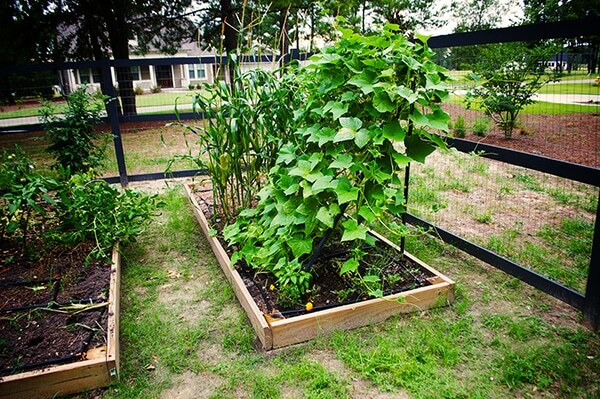 Create It: Raised Garden Bed | Wood. It's Real. | Wood. It's Real. Got poor quality soil? Want a garden? Don’t have a ton of space, or would like to manage the space you have? 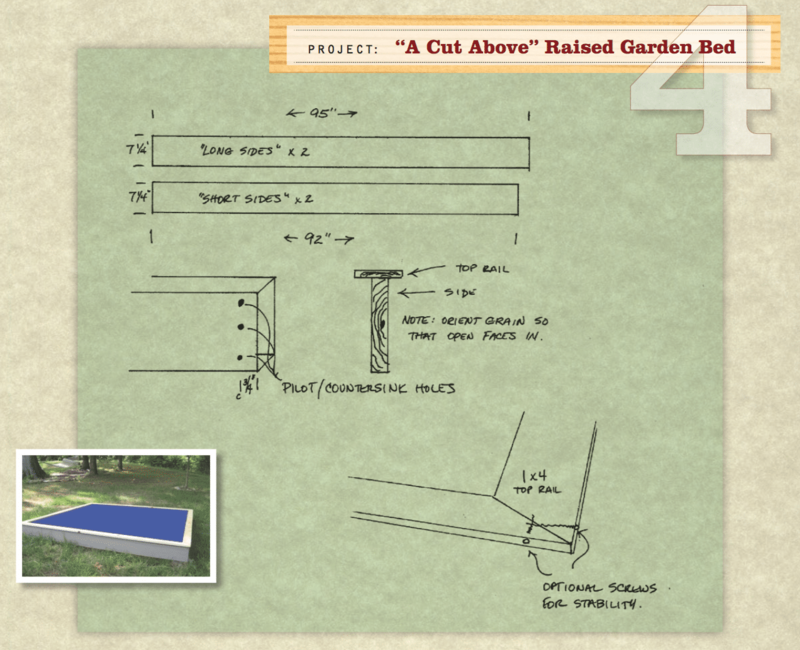 There’s a solution: It’s called a raised garden bed, and we’ll show you how to build one. You can build it any time of year. Because even if you don’t plan on planting anything right away, it never hurts to have it ready for when it’s time to turn into a backyard farmer. Tip #1: Use the right wood. You’ll notice that the plans call for Ground Contact pressure-treated Southern Yellow Pine. There’s a good reason for that. Your frame will be coming in contact with soil and moisture, and those are things that pressure-treated lumber is designed to resist. Tip #2: Use the right fasteners. Make sure that your construction adhesive and screws are designed for use with pressure-treated lumber. Use the proper drill bit for creating the countersink holes that allow screw heads to tighten flush with the wood surface. If you’re not sure which bit to use, experiment on a piece of scrap lumber. Tip #3: Paint sooner, rather than later. If you want to paint your garden bed, the best time to do it is while the lumber is still in pieces. They’ll be much easier to handle. Tip #4: Anchor that garden bed! You’ve put a lot of work into building it. Make sure it stays put by staking it at each corner. Tip #5: Landscaping cloth is your friend. Keep weeds out by lining the bottom and sides of the bed before adding soil. Since raised bed space is limited, plant as much as you can without overcrowding the garden. How? With square foot gardening. Think of your garden as a big box with squares inside. For example, if you have an 8 x 8 foot box, you’re working with 64 square feet. After you’ve filled your box with potting soil, use a stick to scratch out a grid. Or you can define your squares with string or pieces of wood. Tomato and green pepper plants need space! Give them an entire square. Want salad greens? You can grow four lettuce plants in a one-foot square. How about carrots and radishes? A one-foot square holds 16 plants. If you’re thinking that those 64 squares will get used up in a hurry, you’re right! You’ll also be amazed at how much you can grow in a small space. Gardening experts recommend that you put several seeds in each hole. This increases the chances that something will sprout. Then comes a bumper crop of sprouts. They look so wonderful! If you let all of them grow, they’ll be stunted – and not very productive. So, it’s time to thin those sprouts. Toss the excess in your compost bin. Or use them as garden mulch. Which is just another way of saying that some of your plants will succeed beyond your wildest dreams. Others? Well, let’s just say that you’d be better off pulling them before you waste any more time or water. Decks, Docks, and Doghouses, Oh My!